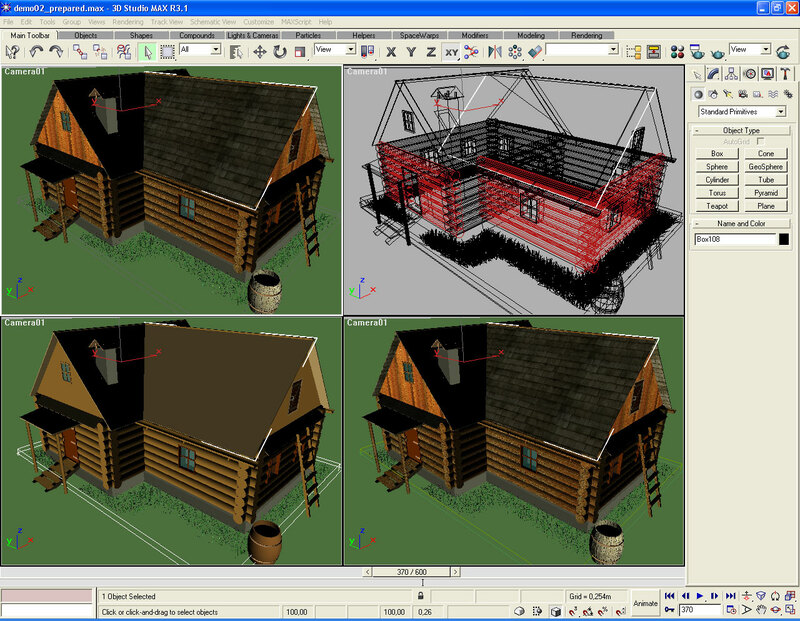 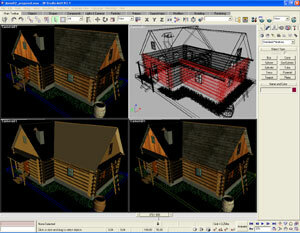 I takes for the scene from 3 to 8 seconds to load, depending on an accelerator, its drivers and a platform. 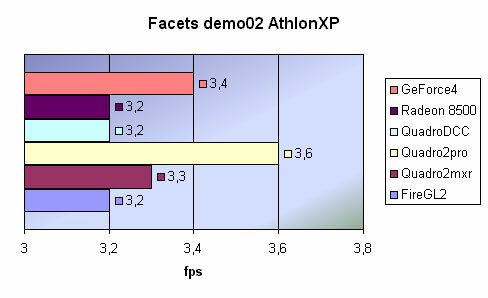 When on the Athlon, the QuadroDCC and the FireGL2 easily beat the rest. 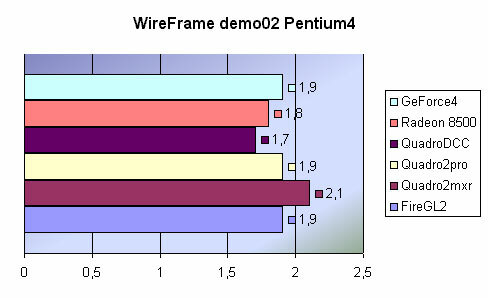 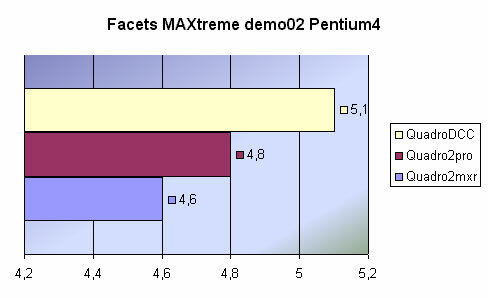 On the Pentium4 the Quadro 2 mxr shot ahead into the first place, and the second position is shared by GeForce4, Quadro 2 pro and FireGL2. 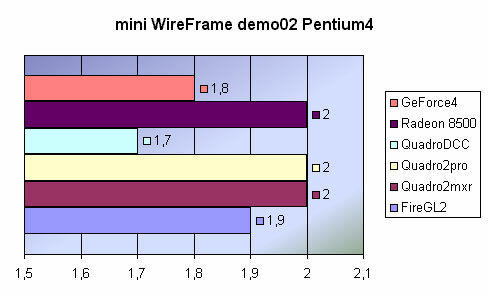 Strangely enough, but the Quadro DCC is the last but one. 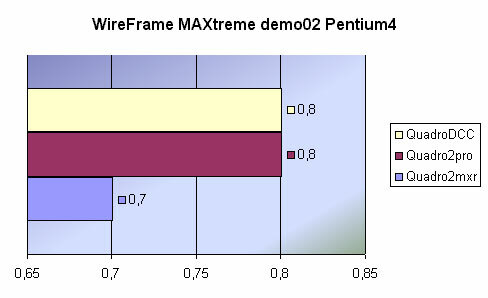 The Intel's platform is more preferable. 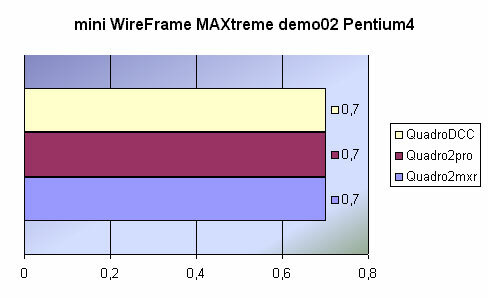 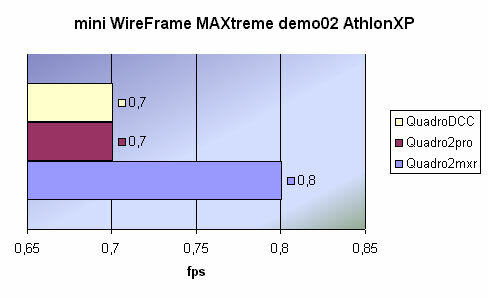 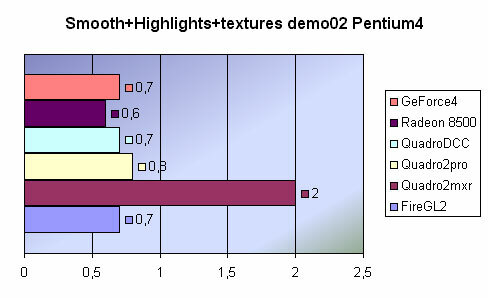 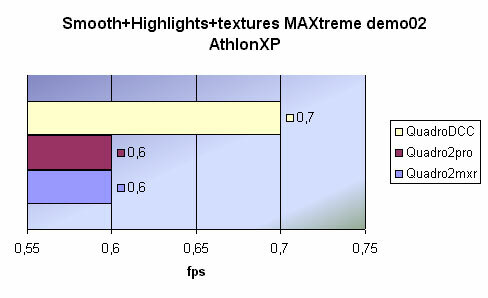 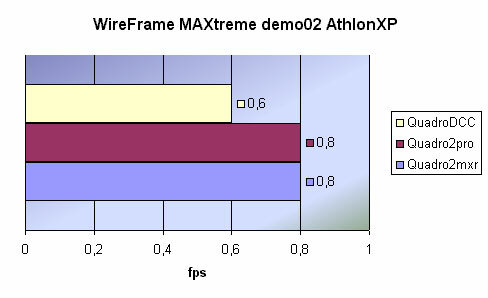 The Quadro DCC on the Athlon's platform and on the MAXTreme shows awful results, however on the Pentium4 it was able to catch up with the Quadro 2 pro. 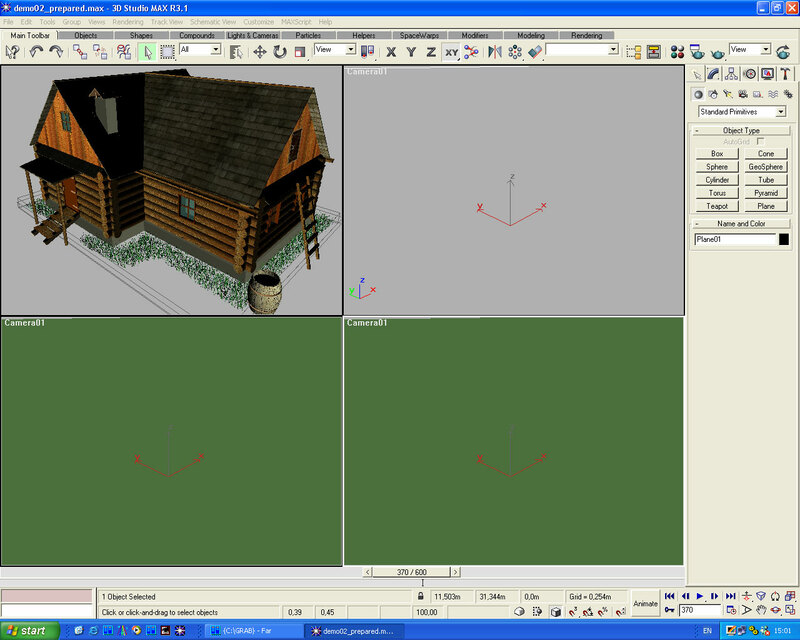 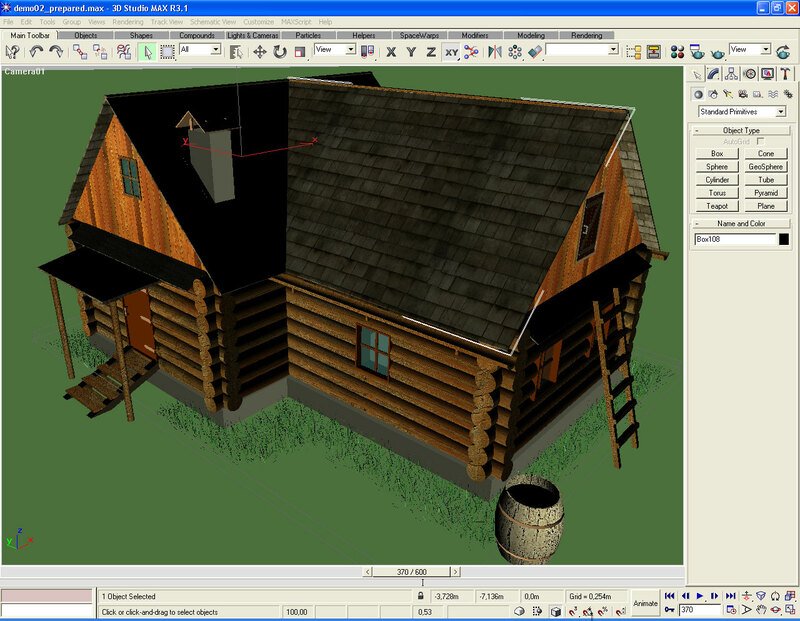 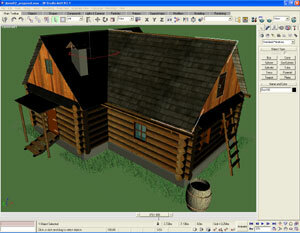 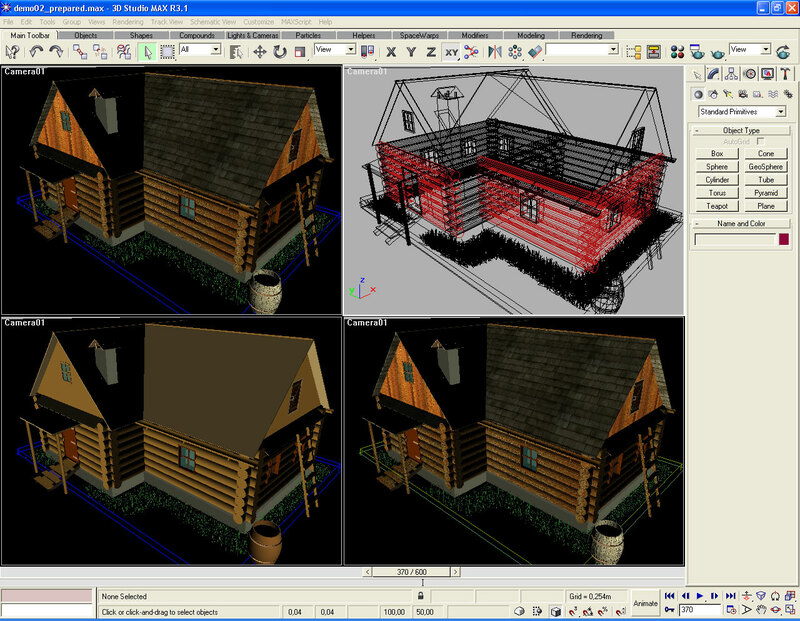 And now let's take a look at a scene rendered in one of the 4 standard viewport windows. 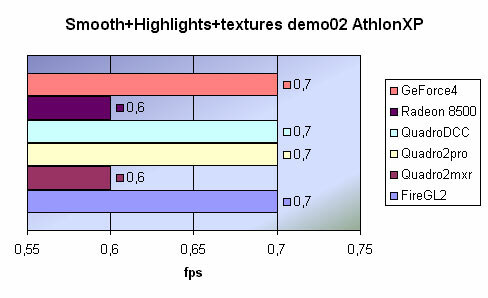 The Quadro DCC with the AMD's processor comes out a leader, but with the Intel CPU it falls into the last place yielding to the Radeon 8500, Quadro 2 pro and Quadro 2 mxr. 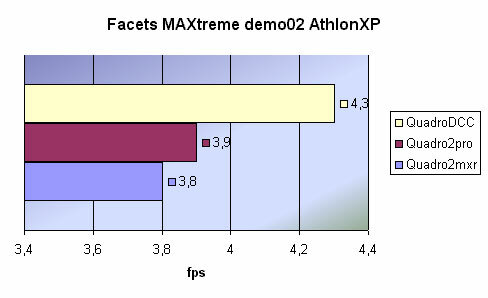 The Quadro 2 mxr takes a lead on the Athlon, and the more powerful cards are able to catch with it only on the Pentium4. Besides, the MAXTreme driver shouldn't be used in such complicated scenes in this mode. 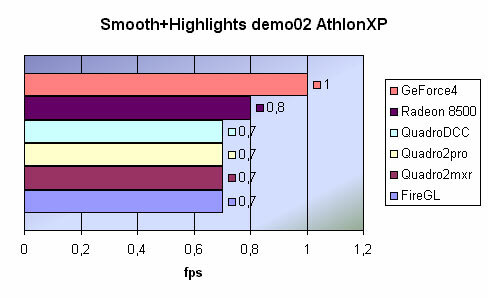 The Quadro 2 pro shines on the AMD's platform, while the GeForce4 takes the palm on the Intel's one. 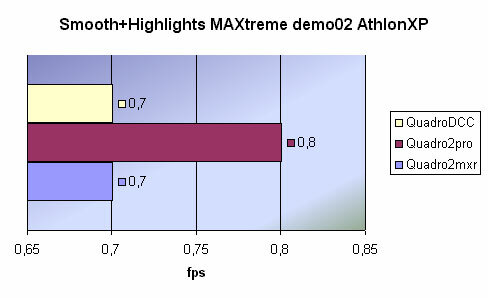 This time the MAXTreme helps the Quadro DCC gain the speed. 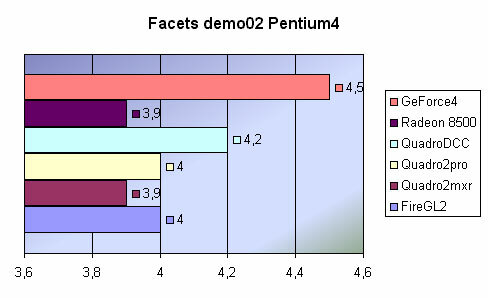 The FireGL2 and the GeForce4 are ahead of the others on both platforms. 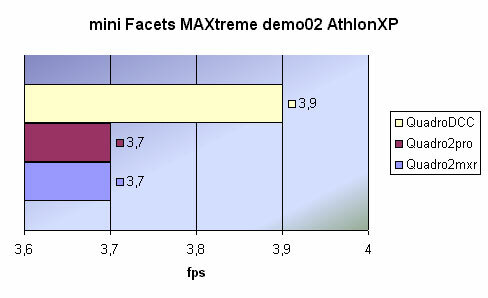 The Radeon 8500 is the last. 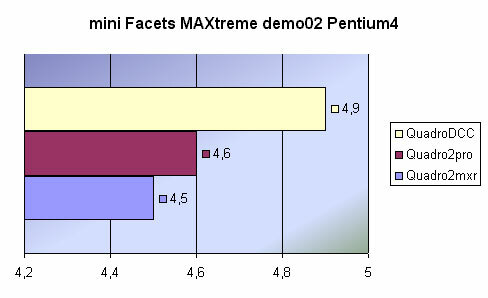 For the Quadro cards the MAXTreme becomes a very good friend as it helps the Quadro DCC to outscores the others. 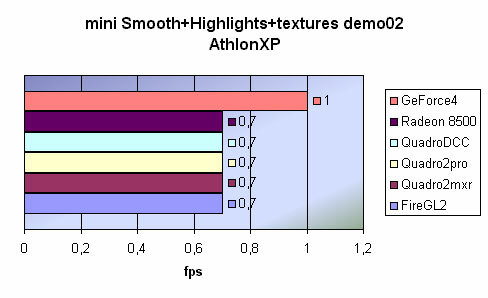 Strangely though, the gaming adapters from NVIDIA and ATI have the best results. 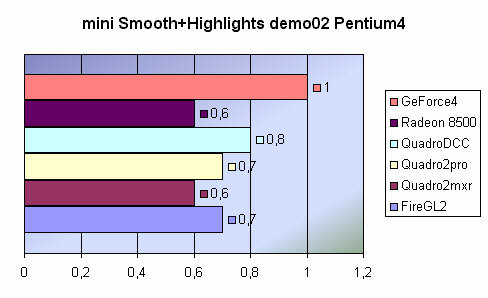 The professional ones are at the same level, only on the Intel's processor the Quadro 2 mxr and Quadro2 pro shot ahead. 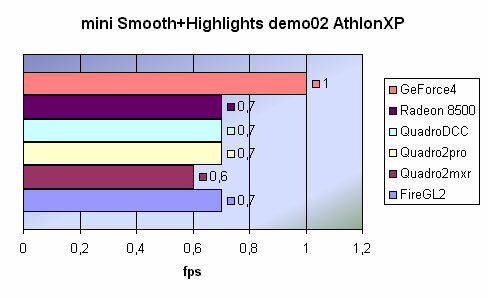 The Quadro DCC turns out to be worse than its weaker competitors. 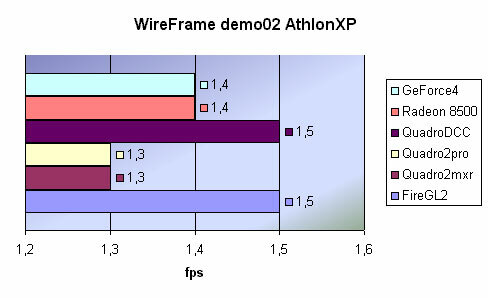 Now comes the small window. 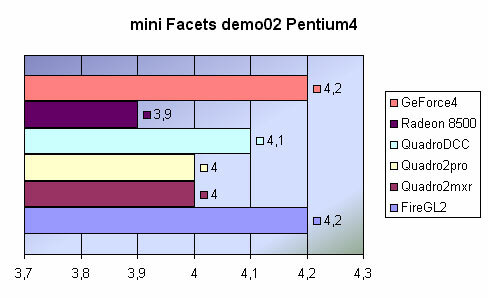 As expected, the GeForce4 leads, and the Quadro DCC follows it. 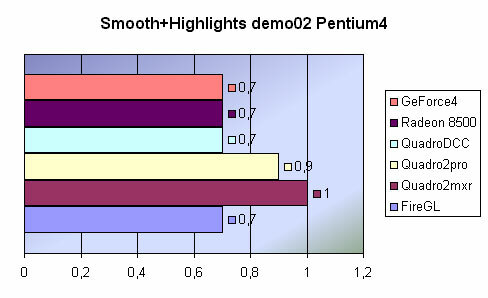 And the last mode: Smooth+Highlights with textures on in the full-sized window. 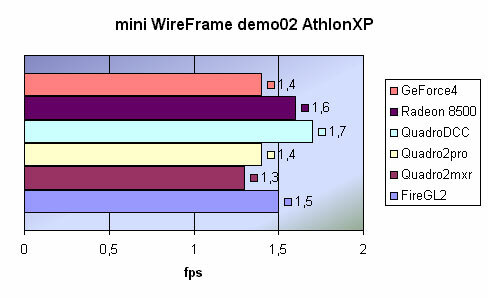 The Quadro 2 mxr behaves strangely. 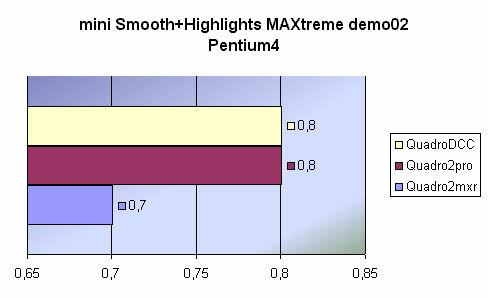 The other accelerators show similar results. 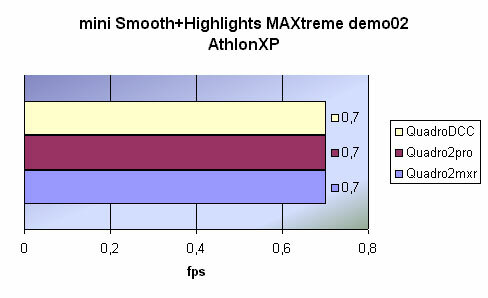 In closing, I must notice that operation on the Intel's platform doesn't differ much from the AMD's one. 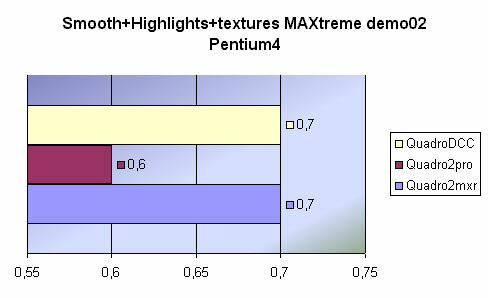 Sometimes the Intel CPU is preferable, sometime the AMD's one is better. 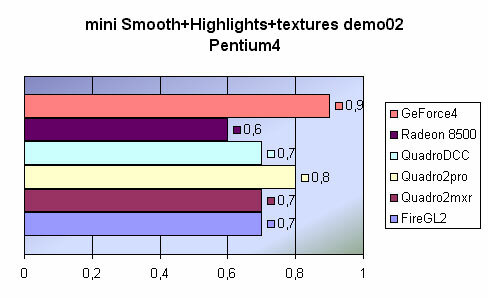 However, it is clear that the cheaper AMD's processor show very good results.